Maritzburg play the first of two season-defining games when they clash with Ajax Cape Town at the Harry Gwala Stadium tonight, Wednesday 11 May. The Team of Choice are equal with AmaTuks on 21 points at the foot of the table, while Jomo Cosmos are four points clear, all three sides having two matches to play. Heading into the Ajax game, Maritzburg have claimed five points from their last five league matches, while Ajax, in 10th spot, have drawn four and lost one of their last five games. The overall record between the two sides is very close: Ajax have won six, Maritzburg five, and there have been six draws. All five of the Team of Choice’s victories have come at home. 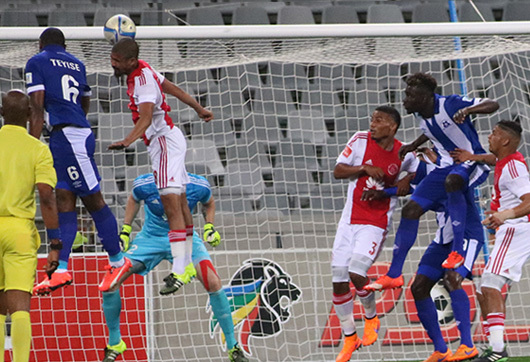 Maritzburg edged out the Urban Warriors 1-0 in last season’s home encounter, while this season’s first round match-up ended with a 3-1 win for Ajax in Cape Town. Neither side has any suspensions for the game.